The stylish Baxi Bioflo is a new kind of biomass boiler. 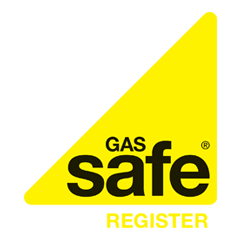 The product has been designed for properties where a connection to mains gas is not available. The boiler is free-standing with a clean and modern design and comes in an attractive granite look or a lighter pearl finish. Its compact size means it can be installed in the living area of homes as well as in more traditional locations, such as outhouses. Pellets are manually fed into the Baxi Bioflo and can be stored in the 34kg capacity rear compartment. Once an even combustion is achieved, the Baxi Bioflo automatically switches to an efficient modulation mode. This offers a varying central heating output between 12kW – 3.8kW according to demand. Baxi Bioflo is MCS (Microgeneration Certification Scheme) certified. This means that homes where it is installed will qualify for the forthcoming Renewable Heat Incentive scheme, as long as it is fitted by an MCS accredited installer. It’s also simple to operate and can provide clean, carbon neutral heating and hot water all year round. Baxi has created a new brochure to help installers explain the various biomass options available and to help their customers decide which model is suitable for them. It outlines the specification and benefits of all Baxi biomass boilers, as well as providing information on legislation, Building Regulations, support and frequently asked questions.